Known for the hole in it’s roof so God could watch his favorite team play, the Dallas Cowboys called Texas Stadium their home for 37 seasons. The Dallas Cowboys were established in 1960 as expansion franchise and have been the most successful team in the NFL since, winning five Super Bowl’s and eight conference championships. From 1960 until 1970 the Cowboys played at the 72,000 seat Cotton Bowl. Built in 1932, the stadium was known for hosting the annual Cotton Bowl football gamey. By the mid 1960s, then owner of the Cowboys, Clint Murchison, wanted a new stadium built for his team. Residents of Irving, TX approved a measure 2-1 to construct a new stadium for the Cowboys. Construction began on January 26, 1969. The stadium was named after its location, Texas Stadium. The Dallas Cowboys played their first game at Texas Stadium on October 24, 1971. 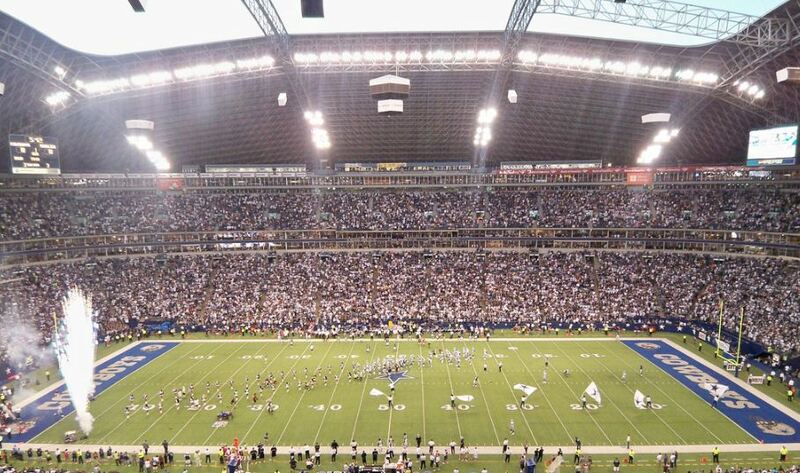 Texas Stadium became one of the NFL’s most unique stadiums upon opening because it is partially domed. A hole in the center of the roof allowed fans to stay dry but left the field open to the elements outside. Over 65,000 blue seats in two tiers extended around the gridiron. Two DiamondVision scoreboard/video-boards were located inside Texas Stadium. The stadium had many amenities that included 381 luxury suites, a stadium club where fans gathered for parties and banquets, and The Corral that provided food, beverages, entertainment and large screen televisions for fans before, during and after all Cowboys games. Flags commemorating the Cowboys five Super Bowl championships were hung from the roof. For years Texas Stadium was one of the best stadiums in the NFL. However, over the past decade many teams throughout the league opened new stadiums that had more club and luxury seating than Texas Stadium had. This led to the Cowboys wanting a new stadium to replace their current home. Funding for a new stadium was passed in November 2004 and the Cowboys moved into AT&T Stadium in 2009. 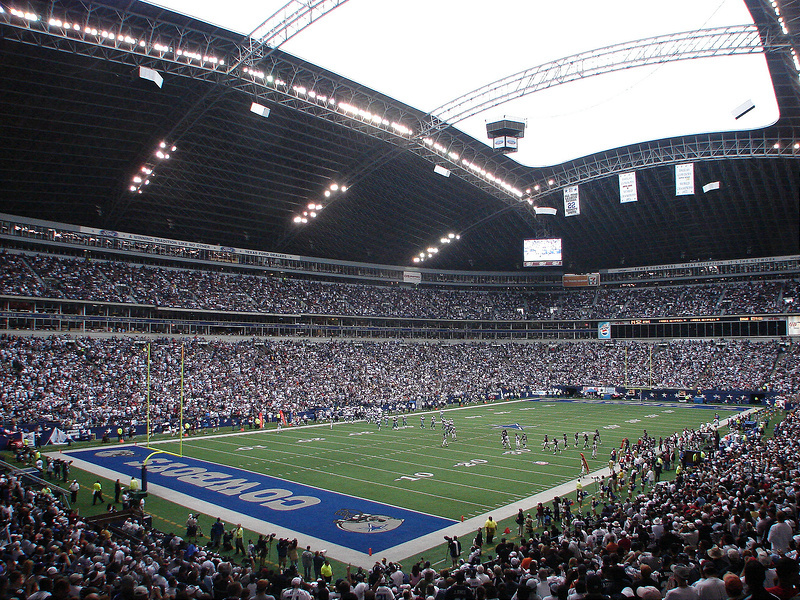 The Cowboys played their last game at Texas Stadium on December 20, 2008. Texas Stadium was demolished on April 11, 2010.